Honolulu residents have more and more residential choices. Until recently, many existing condo buildings have been around for years. 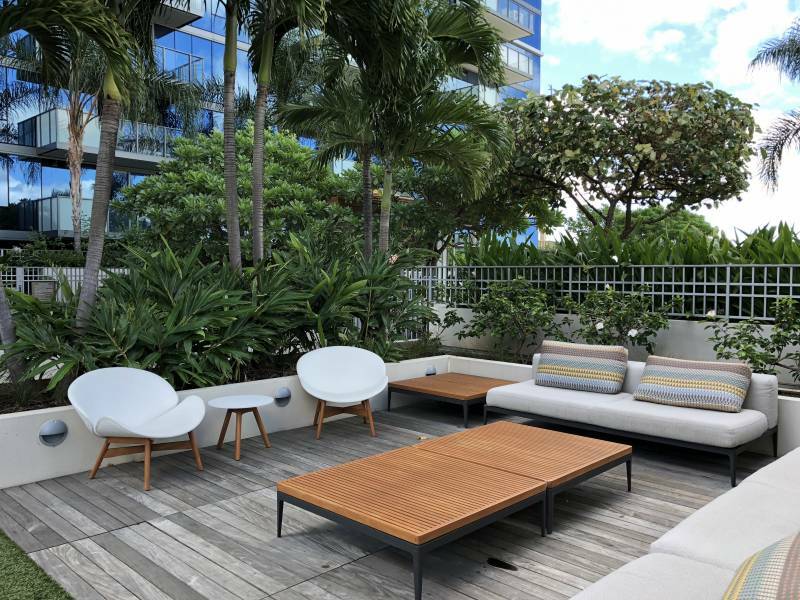 The explosion of new condos in Honolulu is exciting; the buildings are more energy efficient, have beautiful amenities, and are often located in areas surrounded by local businesses and restaurants. The Collection condos are one of these new condos in Honolulu where the building is impressive, but so is the community around it. With all the condo construction primarily in Kakaako, the area is being revitalized. We are lucky to have the ocean and the near-perfect weather. 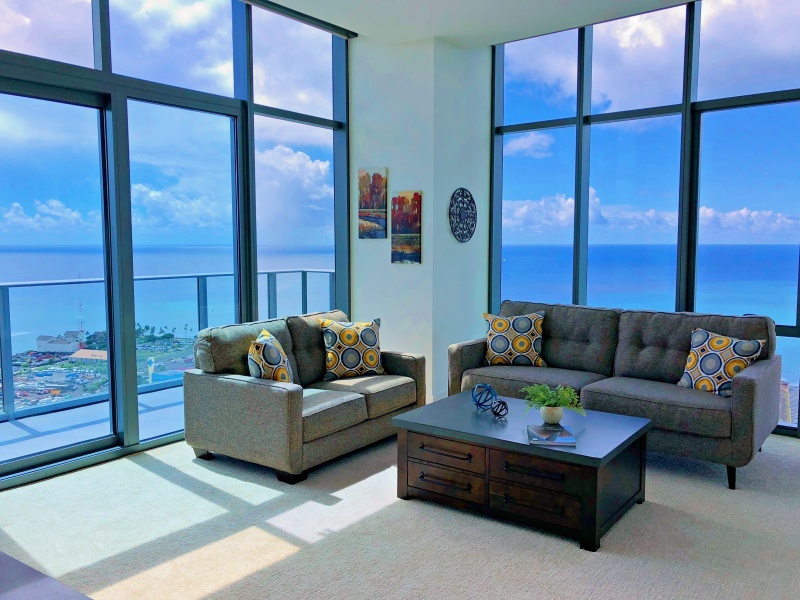 The floor to ceiling glass windows, a preferred choice by many buyers, is the new standard in Honolulu. The Collection condos (tower units) offer views from every room. The walls are practically all glass. 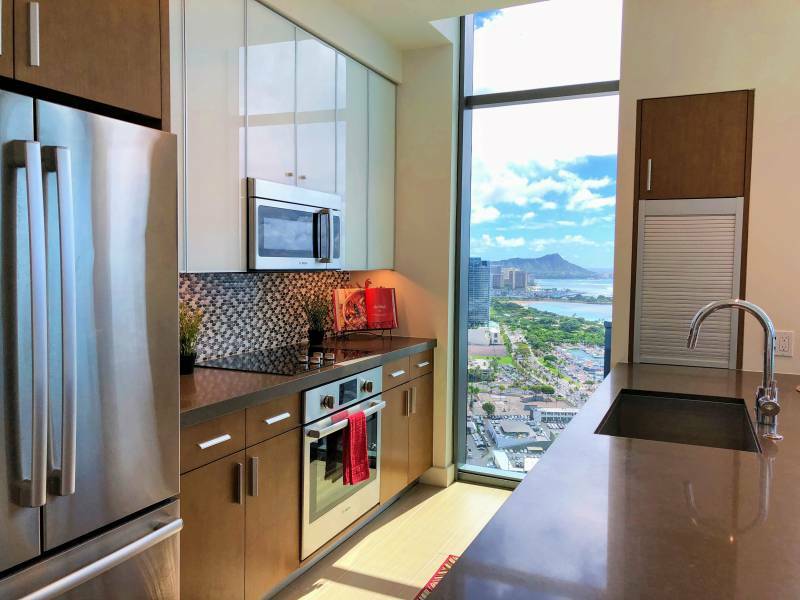 Residents can enjoy views in every direction, including the ocean, Diamond Head, Downtown Honolulu, and all the way to West Oahu. The Collection condos have a very generous pet policy — two pets allowed and no weight restriction. Unless the residents vote to change this in the future, this pet policy is one of the most lenient ones out of all the condos in Honolulu. The majority of the buildings have weight restrictions (Always confirm the pet policy prior to purchasing). The amenities at The Collection condos are impressive. The building has a contemporary design. The pool is surrounded by a beautiful teak deck. Pool cabanas offer comfortable seating and colorful accents on the pillows add warmth to the pool area. Two jacuzzi hot tubs, lounge chairs, seating areas, and an outdoor shower add to the relaxing atmosphere of The Collection amenity deck. 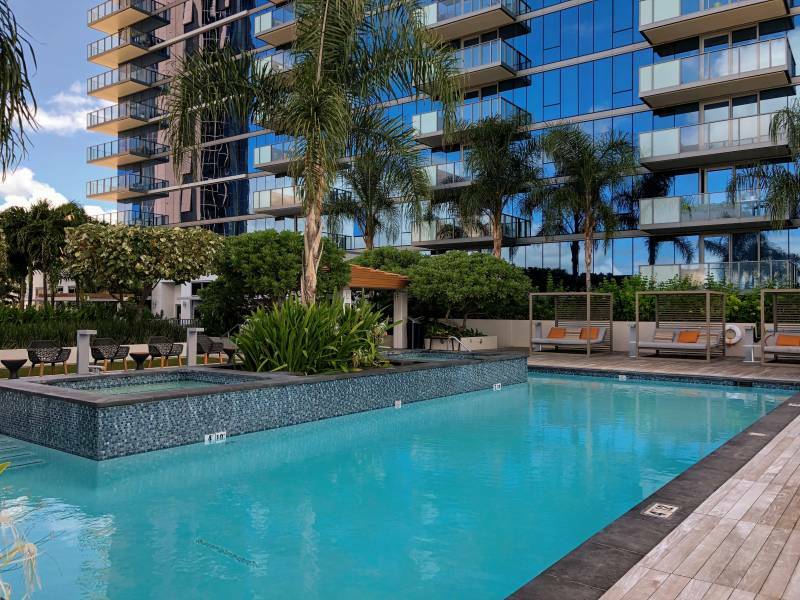 For residents who just want to relax but not spend time at the pool, contemporary seating areas and a large play lawn are located in the center of the amenities deck. Outdoor meals are made easy by the availability of private BBQ cabanas. 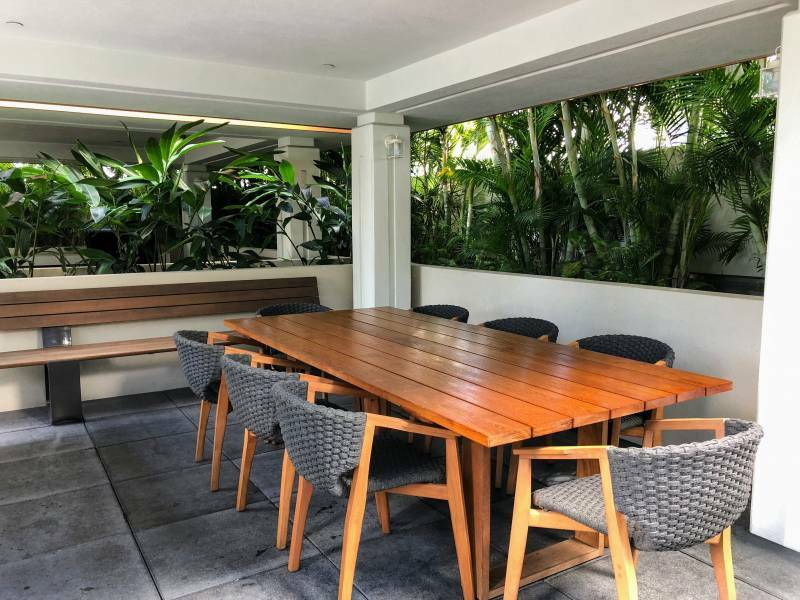 Whether it’s a weekday dinner or a weekend get together, the outdoor areas can be used year round. Kakaako is a thriving community. The once warehouse businesses are being replaced by beautiful residential and commercial buildings, bringing the neighborhood together. People can be seen around the neighborhood having morning coffee, enjoying lunch and dinner at nearby restaurants, and shopping at local retailers. 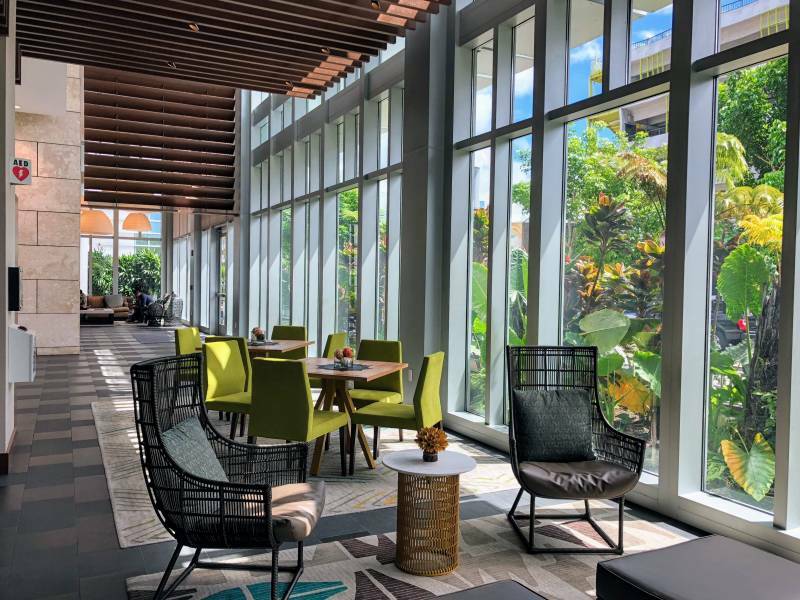 The fun Salt Kakaako is located directly across from The Collection. Please contact me if you are considering purchasing a new home on Oahu. 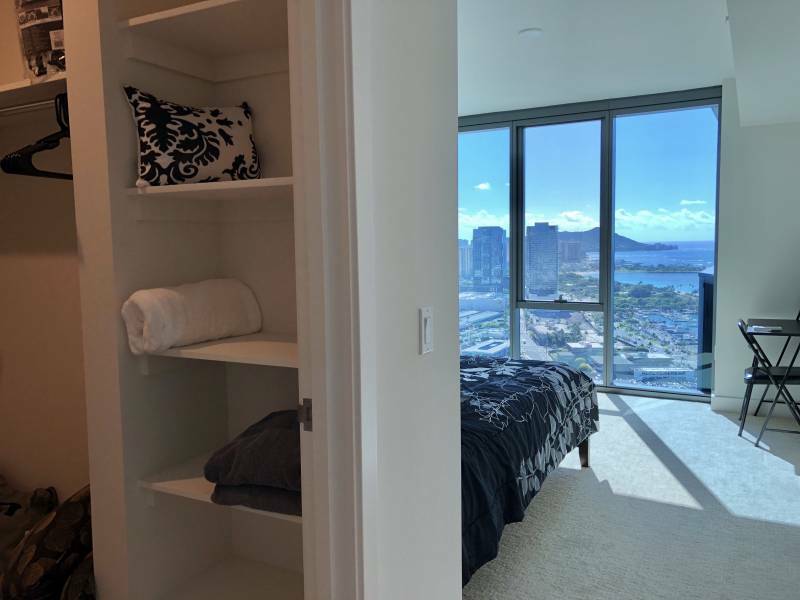 If you would like to appear on our popular “Hawaii Life” TV show on HGTV as you are purchasing your new home or condo, check out the casting opportunity.